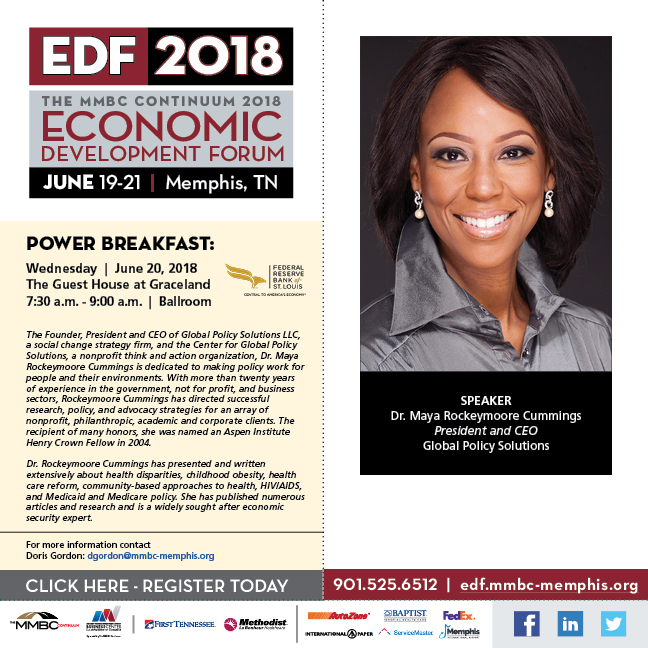 From the Power Breakfast to the renowned CEO/Presidents Roundtable, you don’t want to miss any of this year’s events. There will be numerous events and seminars that you can attend from corporate leaders to M/WBEs to our youth. These inspirational events will not only change you as a business leader but also the outcome of our future. 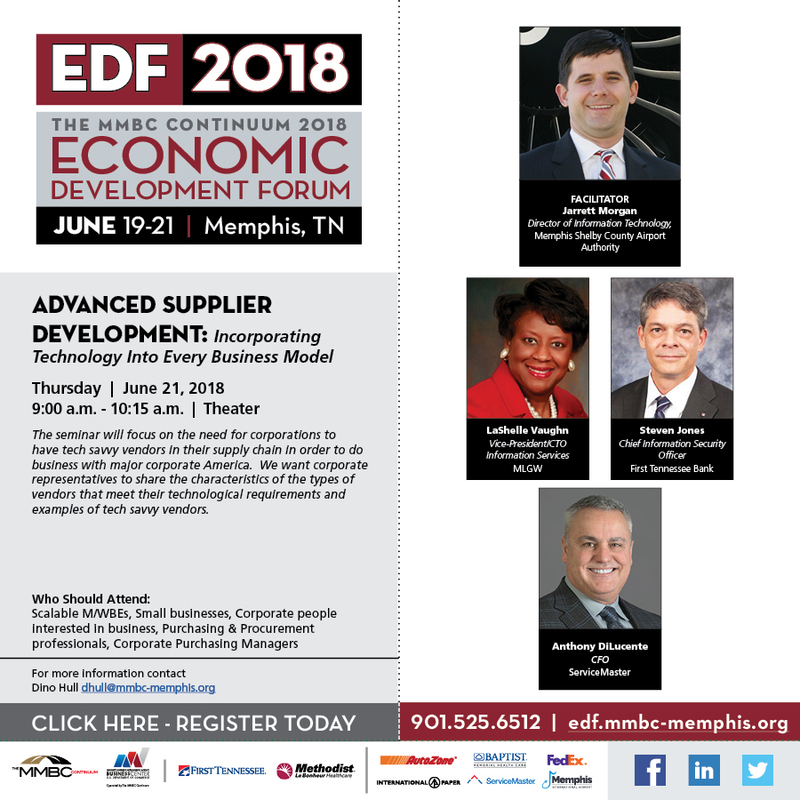 Seminar Description: M/WBEs will gain insight about growing their firms by competing for corporate business through the process of discovery for procurement opportunities that don’t surface in the form of a traditional RFP. Speaker: Julianne Malveaux, renowned economist, author, social and political commentator and businesswoman. 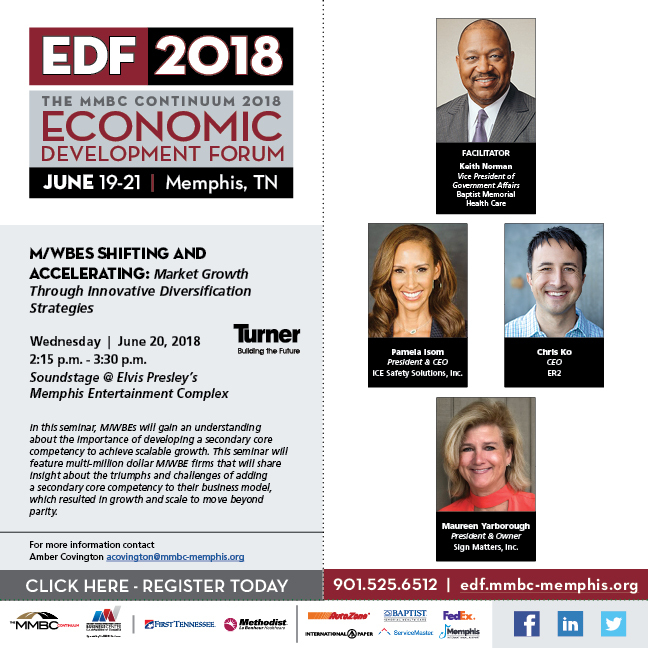 Seminar Description: Seminar will present strategies for non-employer M/WBE firms to leverage and position their firms for growth and increased capacity to scale and meet corporate needs. Seminar Description: This seminar highlights the success modeled by the Billion Dollar Roundtable for corporate engagement of diverse and inclusive suppliers. 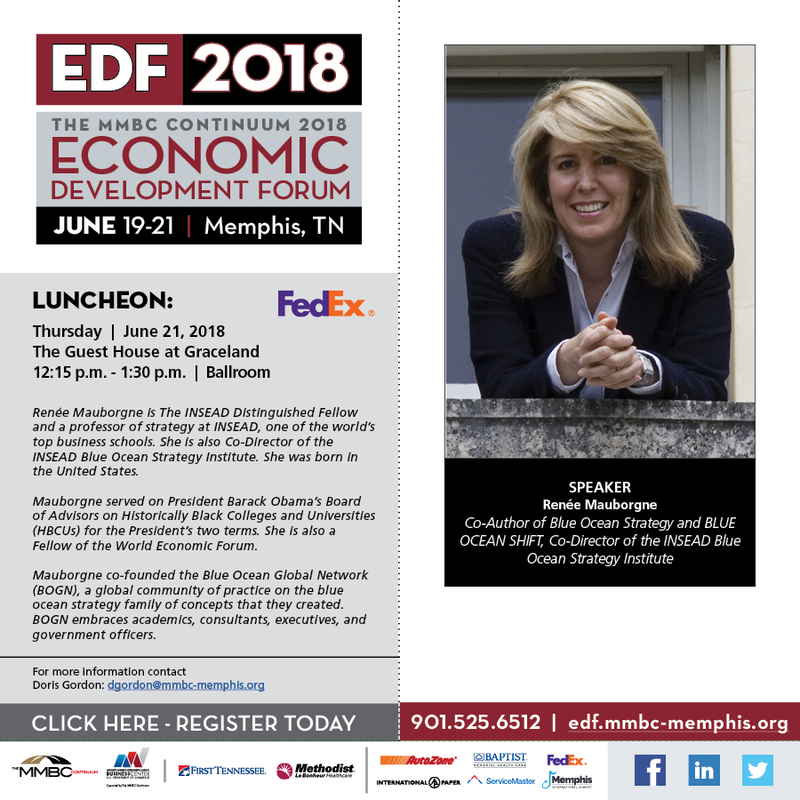 Implementing similar strategies in Memphis with intentional focused effort to “Buy Local” serves to demonstrate the potential impact on the economy. This is a formula that can be replicated across the state, region and country. Seminar Description: This seminar highlights organizations that are practicing intentionality by implementing strategies to improve their spend with diverse suppliers. Seminar Description: This seminar highlights the important role education and technology play in developing the mindset necessary to build scalable B2B (business to business) firms that can meet the demands of corporations. A dynamic and energetic panel of young entrepreneurs will discuss how they came up with innovative solutions-oriented businesses by integrating technology and education. 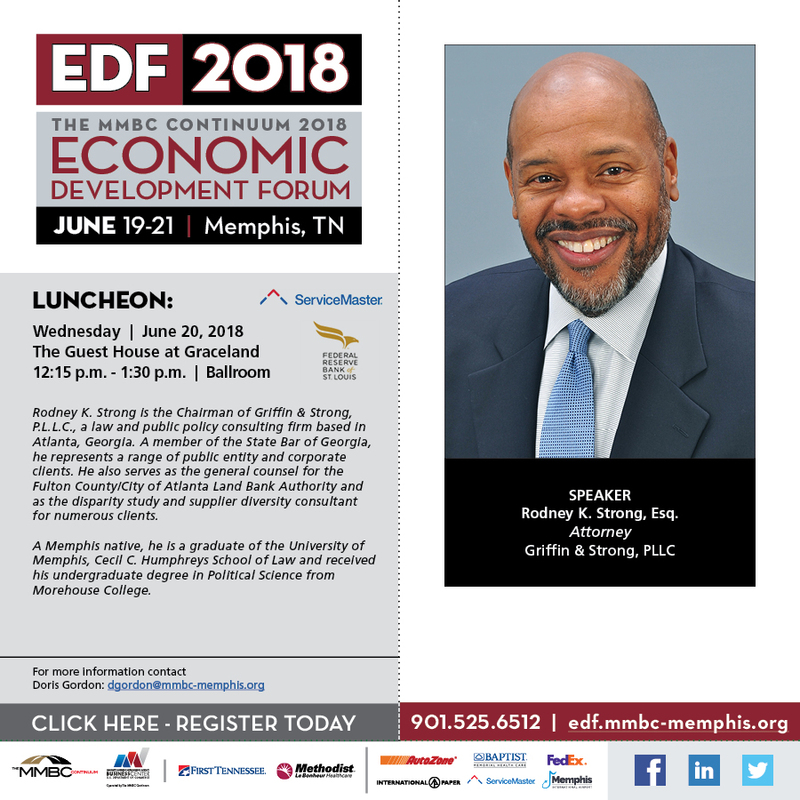 Speaker: Darrell S. Freeman, Sr., Founder, Zycron, Inc.
Seminar Description: The seminar will highlight the opportunity for Memphis to develop diverse firms in the light assembly, distribution and logistics sectors to leverage the current ecosystem, create more jobs and awareness of opportunities for M/WBEs in these sectors . The seminar will provide insight to corporations for this model by engaging M/WBEs to increase industry spend as well as the benefits of recruiting other port cities to build a similar industry ecosystem. Seminar Description: Seminar presents strategies for minority firms to gain access to the economic pie by focusing on Majority-Minority Joint Ventures in Underserved markets, though the formation of legitimate partnerships, and secondary core competencies. Seminar Description: This seminar presents the business case for diverse firms to be prepared to meet the new corporate requirements in order to be better prepared do business with major corporations. The session will highlight the benefit to M/WBE firms that have made the investment in their businesses to meet the demands of corporations. Seminar Description: This seminar will feature successful entrepreneurs with companies in innovative or growth industries. This panel is designed to showcase industries for youth and young adults to consider and identify ways that young entrepreneurs can meet future demands of corporate America. This high-energy panel will discuss how they started and have sustained their companies, as well as the valuable role that education played as a foundation to their success. 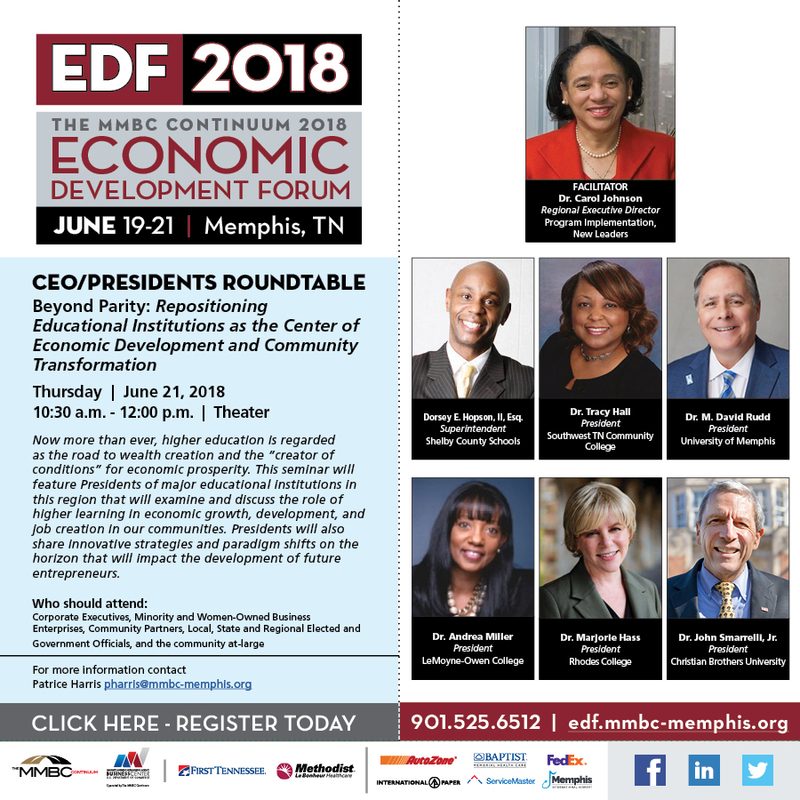 Seminar Description: The CEO/Presidents Roundtable will feature diverse CEOs and their view of the world and the progress or the lack there of that minorities have made in leadership roles. The panel will also share insight about what M/WBEs can do to be successful vendors/strategic partners for corporate America. Seminar Description: In this seminar, attendees will gain an understanding about ways to expand their geographical footprint to grow from a local, to a regional and/or national firm. Attendees will learn strategies and best practices to become a multi-market firm by leveraging the power of joint ventures and existing relationships with large customers that have multi-market locations. Panelists will also discuss opportunities revealed through discovery into underserved industries. Seminar Description: In this seminar, M/WBEs will gain an understanding about the importance of developing a secondary core competency to achieve scalable growth. 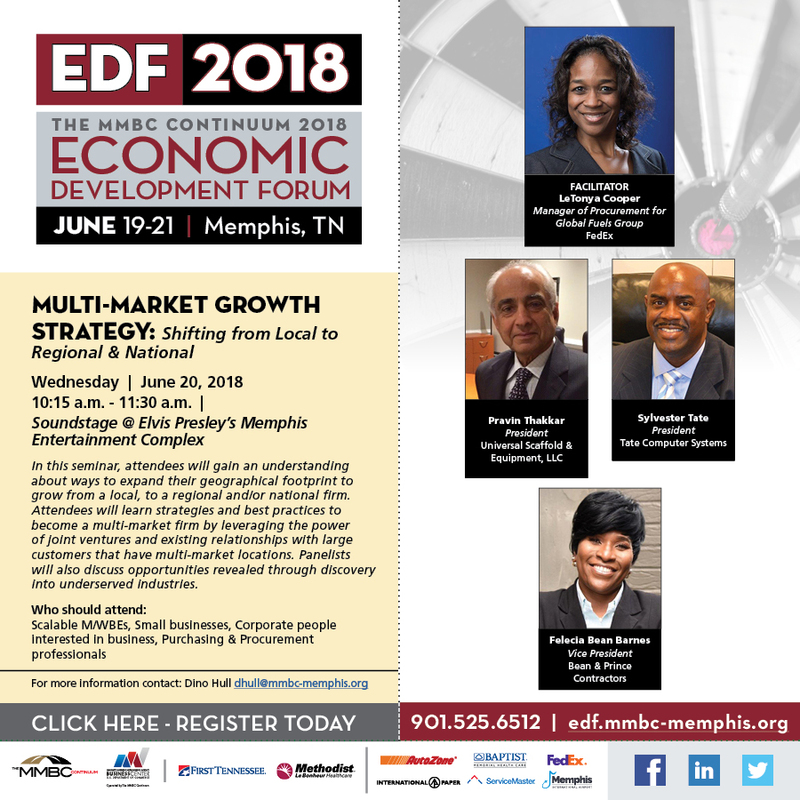 This seminar will feature multi-million dollar M/WBE firms that will share insight about the triumphs and challenges of adding a secondary core competency to their business model, which resulted in growth and scale to move beyond parity. Seminar Description: The seminar will focus on the need for corporations to have tech savvy vendors in their supply chain in order to do business with major corporate America. We want corporate representatives to share the characteristics of the types of vendors that meet their technological requirements and examples of tech savvy vendors. Seminar Description: The future of business is bright for young entrepreneurs with big ideas! The 2GMBE youth seminar will feature panelists that have leveraged innovation and creation as the foundation to build their businesses. The 2GMBE youth seminar will feature panelists that have leveraged innovation and/or technology as the foundation to SHIFT their businesses to the next level. Workshop Description: Learn how to use the Blue Ocean Studio ™ to create as many projects as you want and share them with your team. 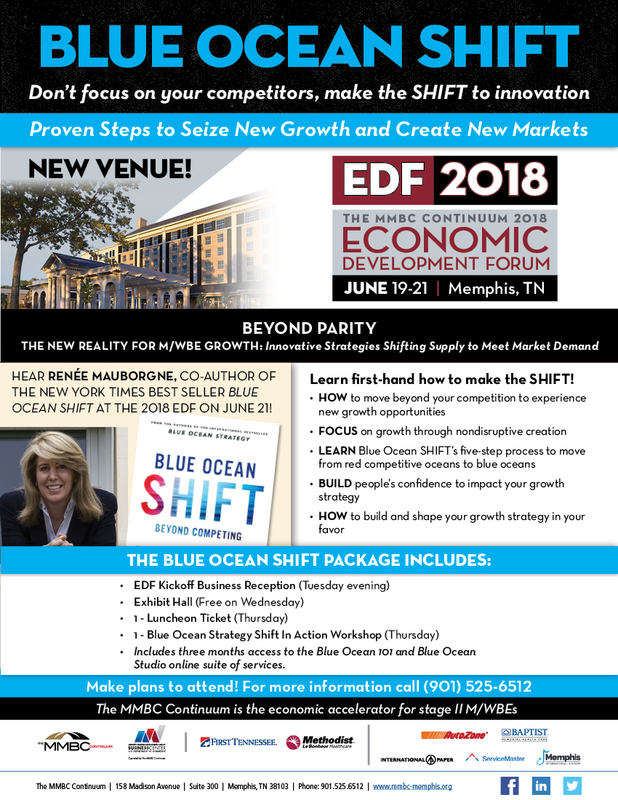 Within the Studio, you can apply blue ocean tools and frameworks individually or in sequence and draw insights that can help you to move beyond competing to creating your own blue ocean. You can collaborate with your team members through live chat and make instant changes and all your discussions will be captures in an active log.